Today is the Endeavour’s 25th Mission into outer space. Endeavour was the first Shuttle to repair the Hubble Telescope. 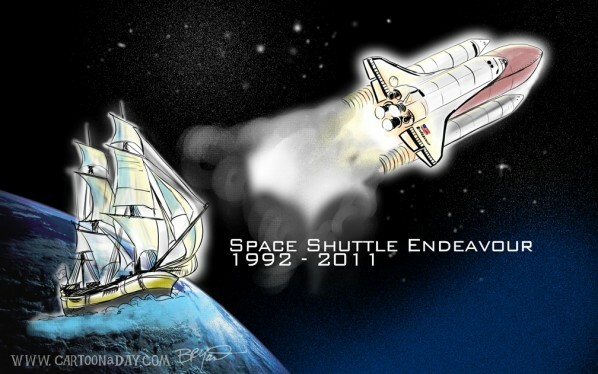 Inspiration: A Mixed medium illustration featuring the Space Shuttle Endeavour and it's seaworthy counterpart.